When we think about gardens today, the image of the ideal garden that comes to mind would be far different from that of years before. Gone are the days when everyone would dream of perfectly manicured gardens that had borders full to bursting. Modern, easy-to-maintain designs that are geared towards socialising are now very much the thing. Minimalist prevails in landscape design as in architecture and interiors, and the streamlined elegance it brings is also very relevant to this outdoor space. 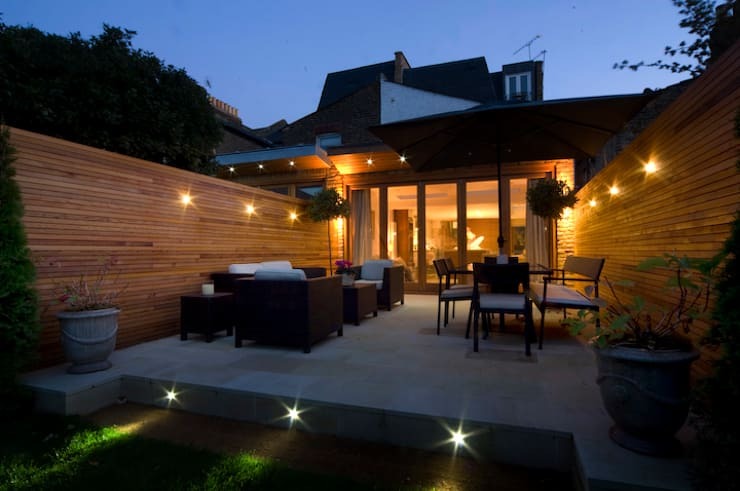 However, there is no need to worry if you're unsure how that would translate in your outdoor space, as we have some fantastic ideas for you. Even though it's called minimalist style, it can often be difficult to know where to begin, but with some relevant inspiration you are sure to get on track. From sleek seating to unusual, artistic schemes, we've found some incredible styles that we know will have you calling in landscape architects for some quotes. Let's take a look at them, shall we? 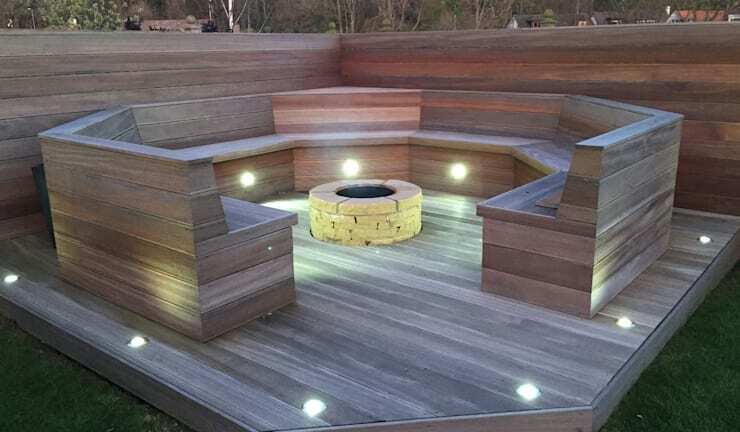 Breezy summer nights or chilly winter evenings, this firepit seating will do you well in any weather. You don't need a lawn to enjoy the great outdoors. 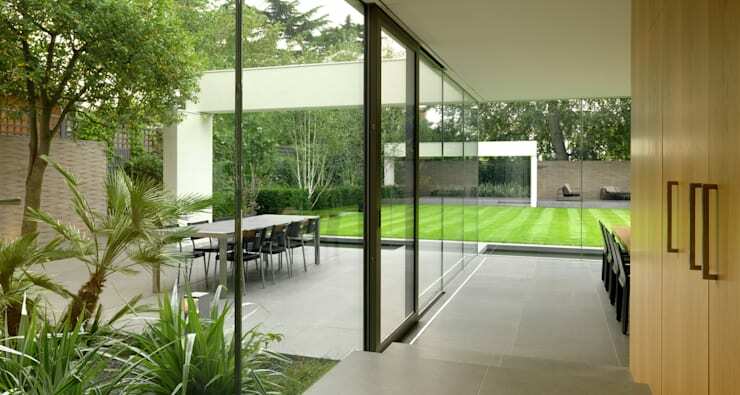 We're still loving this trend that sees gardens almost becoming part of interior spaces, thanks to lots of uninterrupted glazing. A simple and neat design really works for a modern feel. 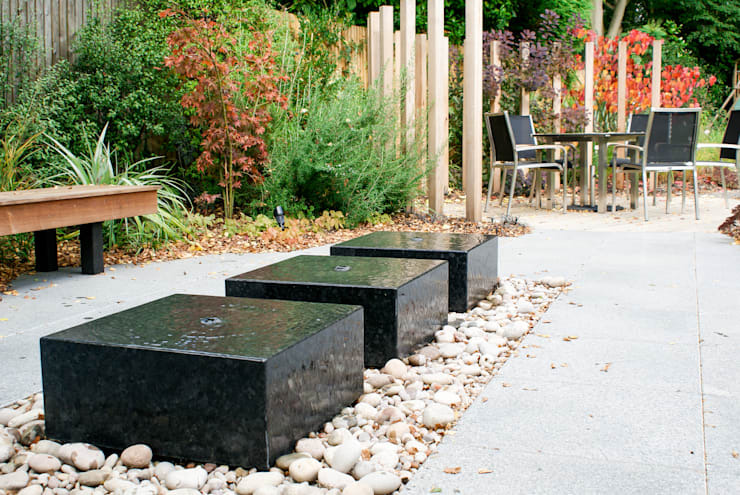 Why not make your garden a little more modern by really making a feature of it with accessories? This boxed-in area looks phenomenal. A terrific terrace is the way to go! Atmospheric lighting, comfortable furniture and a tidy lawn are all you need. 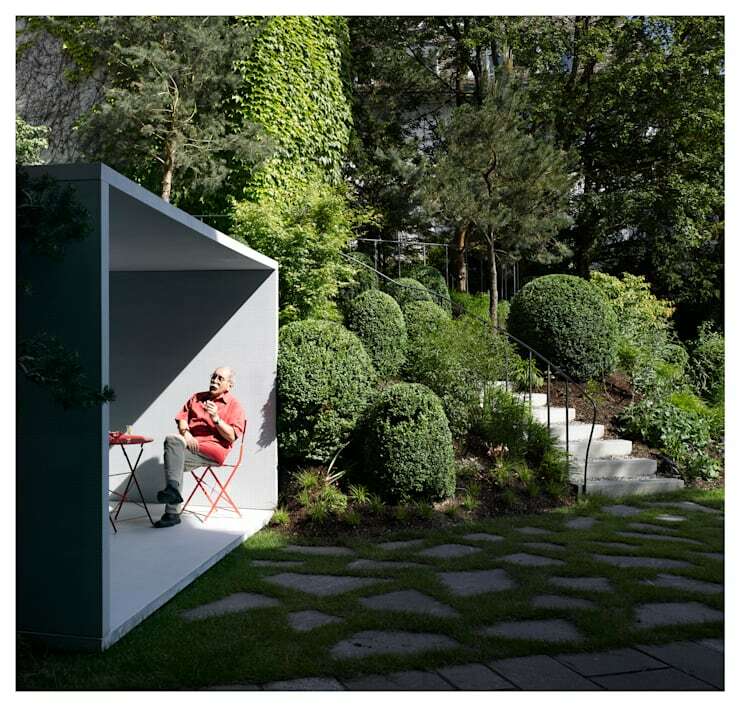 Do away with traditional summerhouses and install an arty outbuilding for a really modern look. They're perfect for unpredictable British weather! Keeping plants in large pots rather than traditional borders will help you to maintain them easily and give you the freedom to change things up as and when you want. 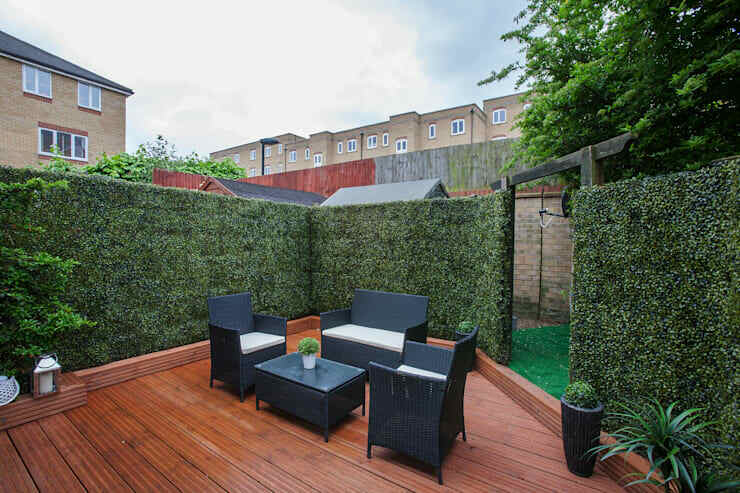 The decking and green privacy walls here make a peculiar spot look especially contemporary. 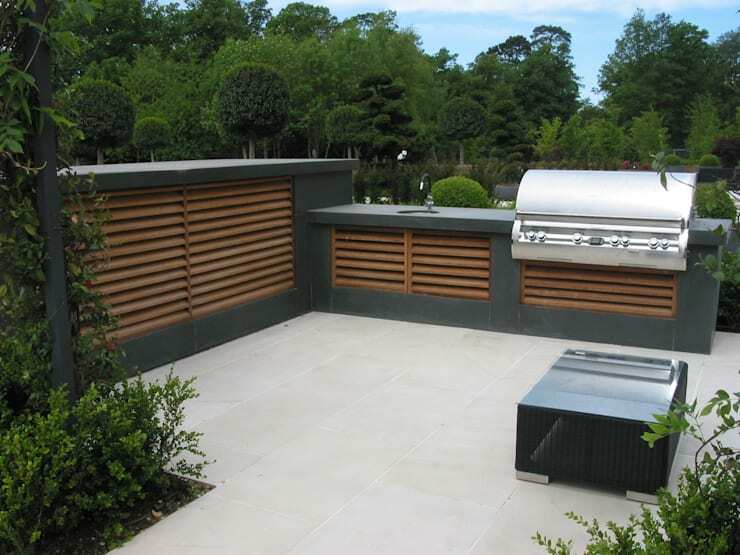 If plants hold no interest for you, turn your garden into a stylish al fresco cooking area. This one is more modern than a lot of kitchens and looks amazing! 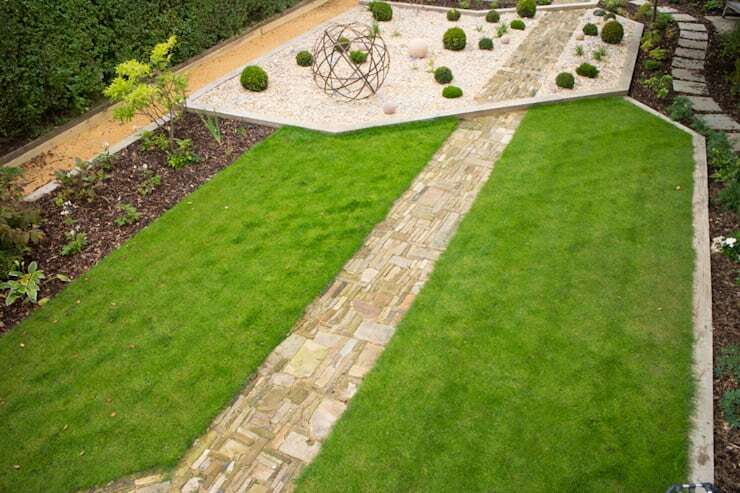 These two materials are fast becoming a modern garden dream team and we can see why! 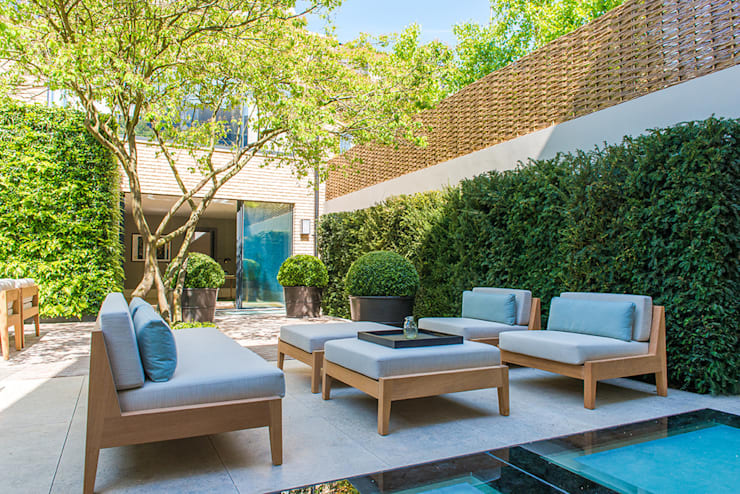 Bench seating on a perfectly smooth terrace allows for outdoor enjoyment, as well as a stylish look and minimal garden maintenance. 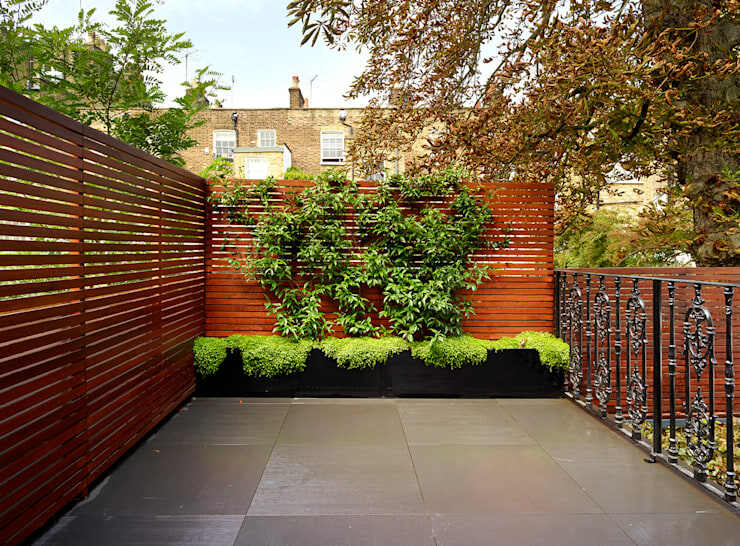 If you are in the gardening spirit, as these images were sure to get you, take a look at this fabulous garden home we discovered on homify. Which garden would you want for your own?